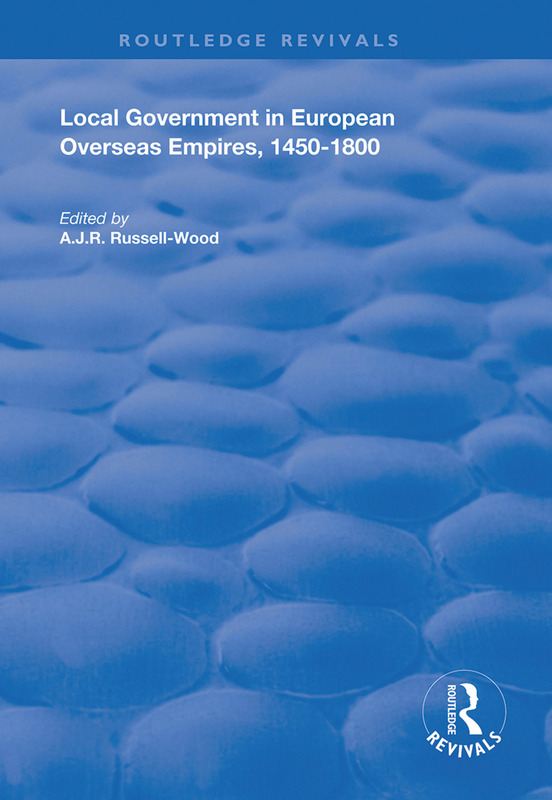 First published in 1999, this volume is an ambitious attempt to provide a wide-ranging introduction to local government in the overseas empires of Portugal, Spain, England and France, with further reference to the English East India Company and the Dutch East and West India Companies. In an exercise in compensatory history, the book examines government of empire not from the metropolitan perspective but at the local level, where government was most likely to impact on the everyday lives of both persons of European birth and indigenous peoples. The first part examines the institutional framework of local and regional government at the municipal, parish and county levels, extending this to include law and order, social welfare and education. The second part examines the social dimension of local government: governance in pluricultural societies; elite formation; creolization; representation and oligarchies; oversight, and negotiated authority. The work includes a comprehensive introduction, together with an extensive bibliography and a detailed index.